A recent study from Health Affairs took aim at physician salaries. Well, not exactly their salaries, but fees. It’s a subtle difference, but that nuance is lost in the mainstream media narrative. 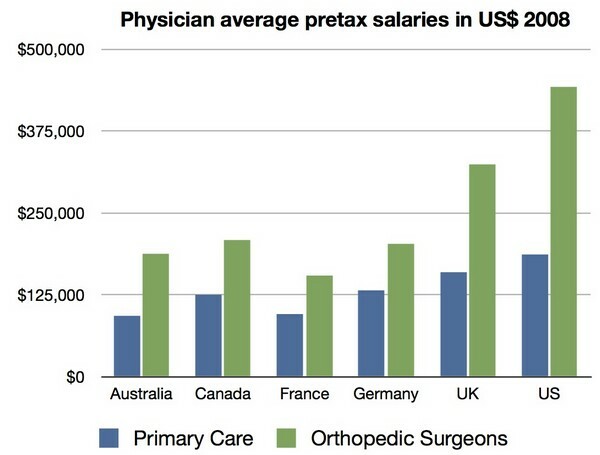 The fact that primary care doctors often get lumped into the “physicians get paid too much” debate is regrettable, especially when you compare their salaries to generalist physicians in other countries. 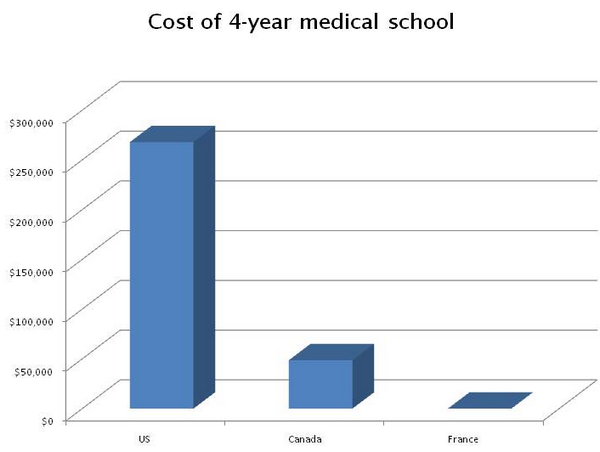 And, when you consider the cost of an American medical education, the pay difference becomes more negligible. Studies that compare United States physician salaries with other countries need to make a better distinction between primary care doctors and specialists, as well as include medical school and malpractice costs of American doctors in their analysis. Policy makers often target physician salaries because it’s low hanging fruit. 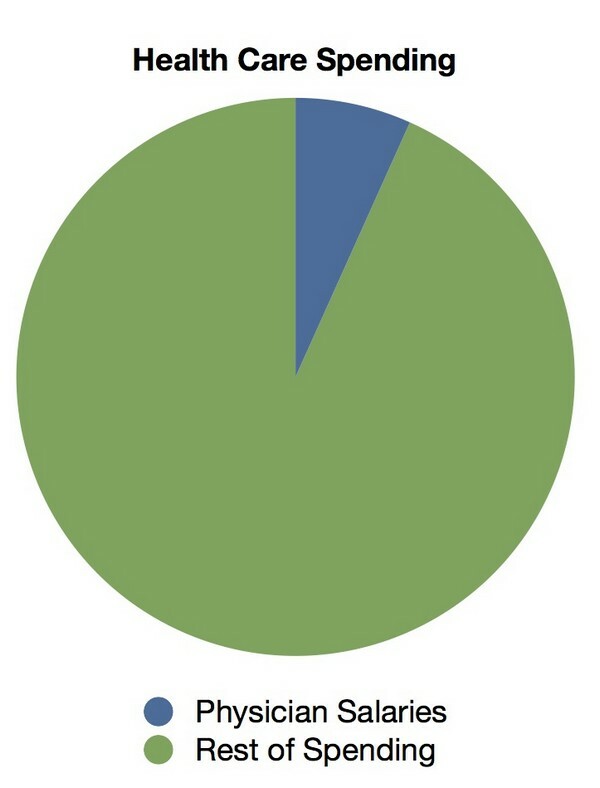 And the public generally doesn’t have much sympathy for doctors when it comes to their pay. Reforming how doctors are paid should not be the only piece to solve the health care cost puzzle. Tackling a problem this large requires shared sacrifice, from both patients and health professionals alike. But in this climate of austerity and economic gloom, “rich doctors” are easy punching bags. Targeting their salaries will bring dubious health savings at a high emotional price for a profession that’s going to be counted on to care for both a ballooning Medicare population and 30+ million newly insured patients in the coming years.